The event to take place at the National Gymnastics Arena will start at 02.00 pm. 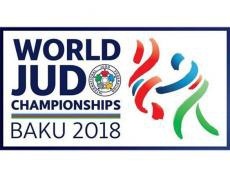 It will be attended by President of the International Judo Federation Marius Vizer, Azerbaijan Judo Federation President Rovnag Abdullayev, state officials, representatives of international associations of different kinds of sport, heads of national judo federations and other persons. The opening ceremony will consist of the official and artistic parts. At the beginning of the artistic part a video with graphic video elements will be presented. Then, the Azerbaijani art figures will perform exclusively for the event. Later on, world-famous Italian singer Al Bano will perform with a concert program. The winners in the 52 kg competitions among women and 66 kg competitions among men will be defined on the second day of the championship. Azerbaijan national team will be represented by Buyankhishig Purevsuren and Nijat Shikhalizada respectively. Both athletes will join the competitions from the 1/32 final.